Closet creations designed and installed a beautiful and very functional closet in my master bedroom. They listened to my concerns about space and accessibility. They offered a beautiful selection of finishes to complement my bedroom. They completed the entire job exactly as promised.When the job was finished, they left my bedroom in spotless condition. 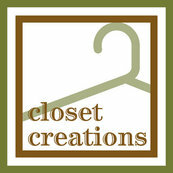 I would highly recommend Closet Creations!